North Adams has a great way to shake those winter blues! 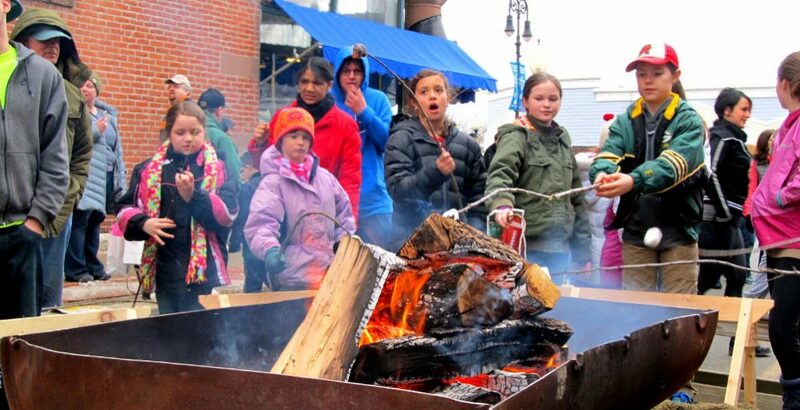 Head downtown to WinterFest for hot chocolate, a chowder competition, ice sculpting, horse-drawn wagon rides, and roasted marshmallows at a community campfire. This family-friendly, day-long downtown event is sure to brighten up even the coldest winter day! 10am – 4pm | fun in the snow @ Colegrove Park – Bring your sleds and snow creature building skills and join us at Colegrove park for a day of snow fun! 10am – 4pm | Ice Carving Contest on Main Street – $100 1st Prize for judges top pick! 2 – 4pm | FREE ice skating & FREE skate rentals @ the Peter W. Foote Vietnam Veterans Memorial Skating Rink, 1267 Church Street, N.Adams,MA.